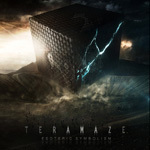 At first I thought Australia's Teramaze may be moving in a slightly different direction on their fourth album, Esoteric Symbolism. On the first spin, it seemed as if they dialed back on the thumping thrash so prominent in the previous album. The songs are definitely heavy, but they sounded more melodic, and touched more by power metal. And it didn't seem that Brett Rerekura dropped in some harsh vocals. But listening again, notably to Line of Symmetry and Punishment By Design, the crashing thrash returns with a vengeance, especially in the latter song. Alternatively, something like The Divulgence, Esoteric Symbolism or In Vitro isn't so much thrash-like, but instead dense in sharp riffage and thundering drums, nearly to the point of wrestling the vocal arrangements and melody to the ground by the throat. 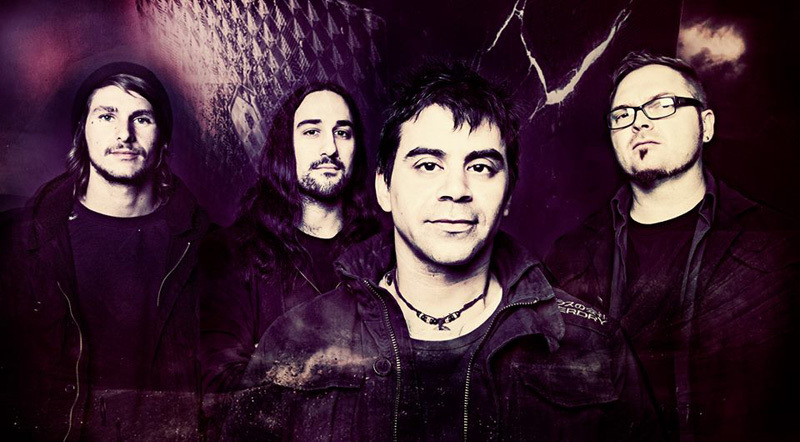 Yet Rerekura holds his own, likely being the single constant that holds the melody together throughout this album (and he does it without harsh vocals, thank you very much). That and Dean Wells' wickedly agile, innovative and soaring guitar solos. They are so interesting, it's the one thing you wait for in each song, no matter how hard the music may be clobbering your ear drums. In this sense, Esoteric Symbolism could be described more as a guitar-centered progressive power/thrash metal album. If like strong lead guitar work, this album is certainly for you. And, another good thing, there's a lot of it, like an hour and eighteen minutes of it. So be prepared for the long haul. Even with it's overwhelming riff density, Esoteric Symbolism is definitely a step forward for Teramaze. With Esoteric Symbolism, Teramaze offers another barrage of dense power thrash riffage in their prog metal, but tempers it with melodic vocals and rousing leads.